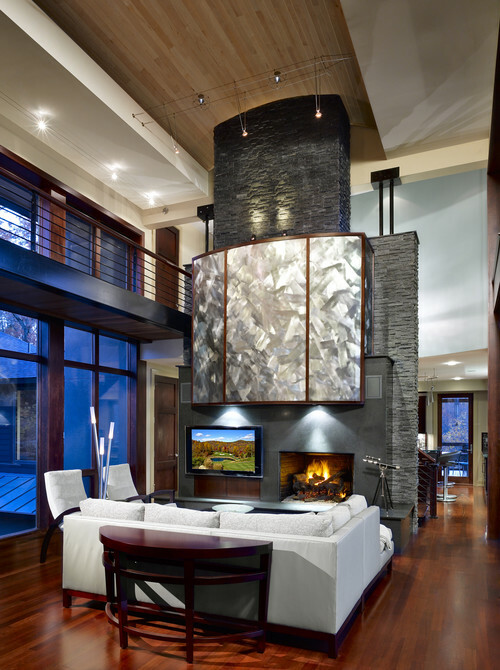 I am amazed at how I continue to get all googly-eyed every time I see a fireplace. I am especially googly-eyed when contemporary and modern styles are combined. 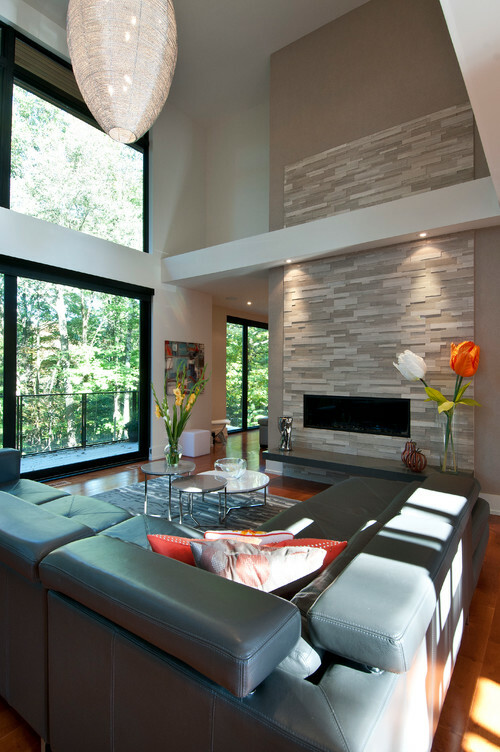 To use design to create through extraordinary architectural details, it is beyond stunning. 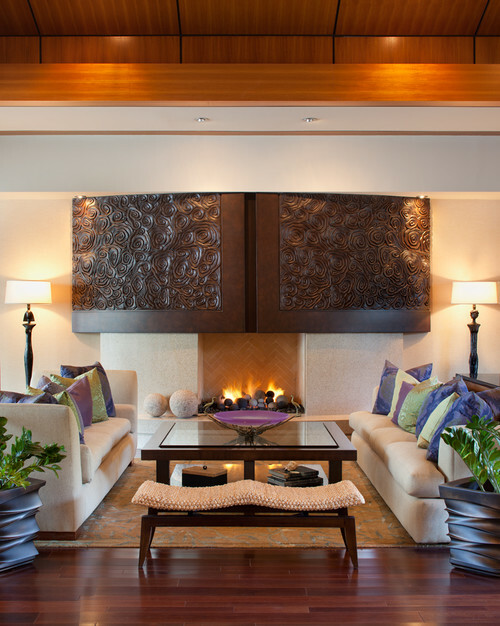 Also, to put the chocolate icing on the cake (yes – I like chocolate), when certain features are designed to fit perfectly in well-designed spaces, they tend to become the ultimate focal point. My friends usually laugh when I say that my kitchen is not the heart of my home, but my cozy, warm, and inviting living room with the massive fireplace sure is. Oh, how I love architectural details. Yikes, I get all excited! 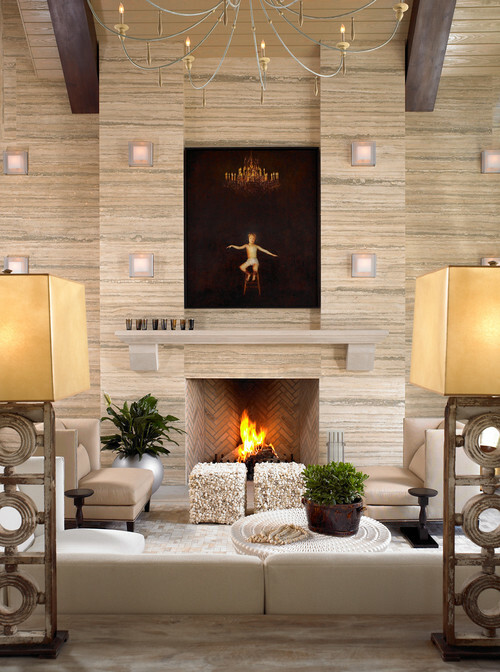 While being decorative and functional, statement-making and dominant, cozy and warm, fireplaces give way to enhancing a space on an entirely different level. They add character as well as create a unique vibe. 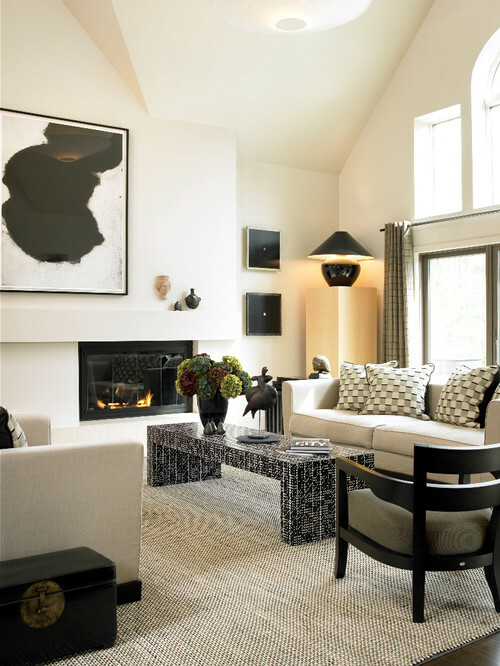 So, whether traditional, modern, contemporary, farmhouse, transitional, or any other style, fireplaces make a room feel more than cozy and welcoming, they become a definite wow factor. The possibilities are beyond endless when deciding to start fresh or updating an older structure. 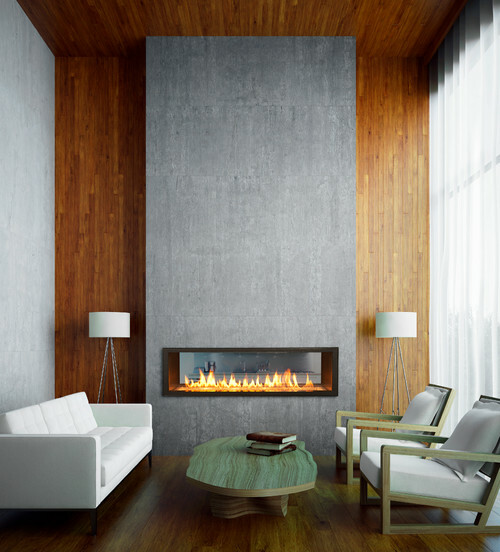 Choosing a style, size (large, medium, small or in between), finish or a specific kind such as open or closed, gas, wood burning, electric, corn or wood pellet, the options are limitless. Are you looking to update? Check out some great inspiration below to get those creative juices flowing. 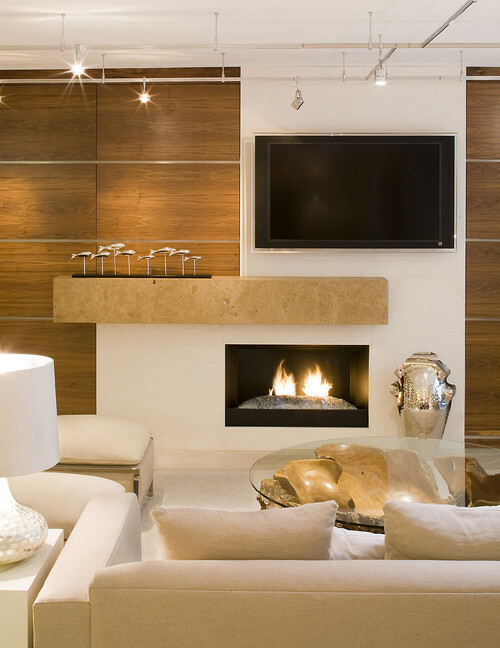 Design Tip: A fireplace and television should work together and not become a competition.